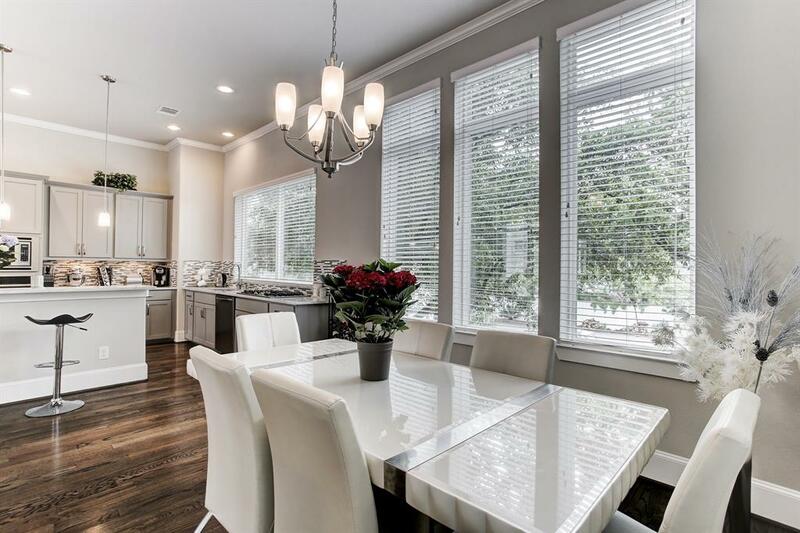 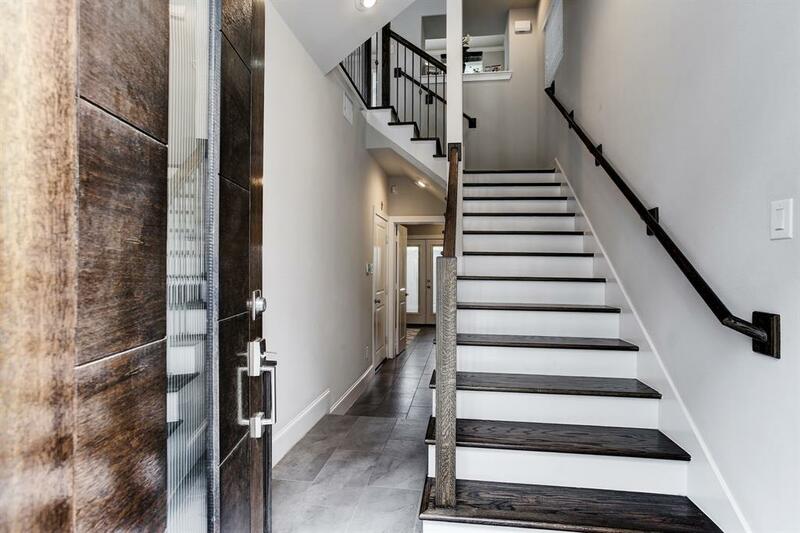 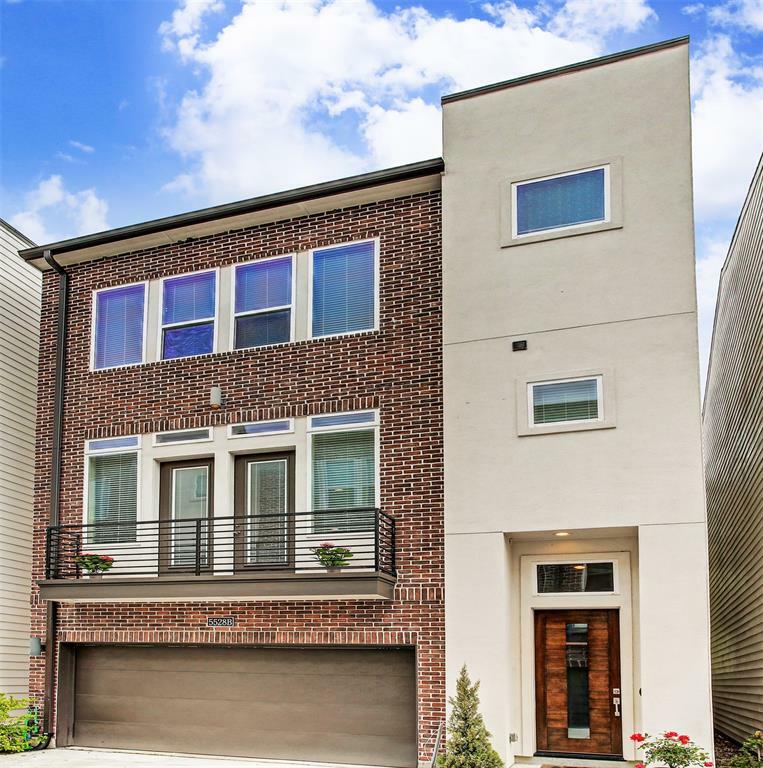 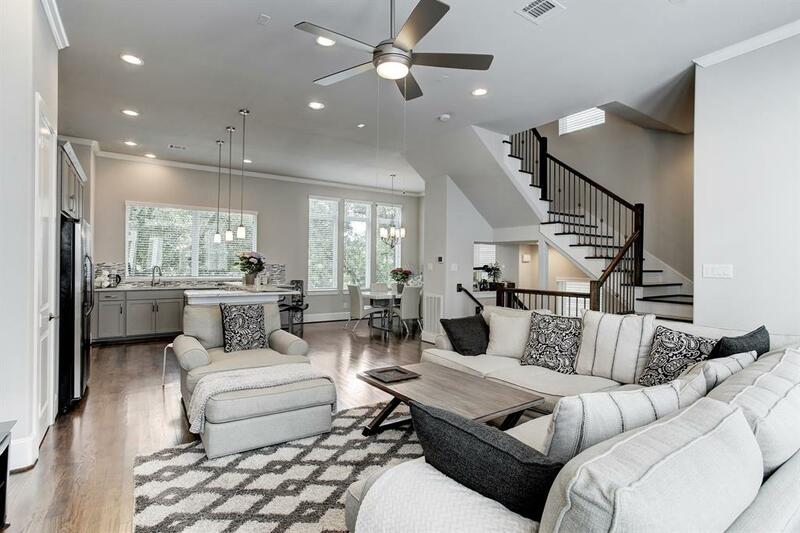 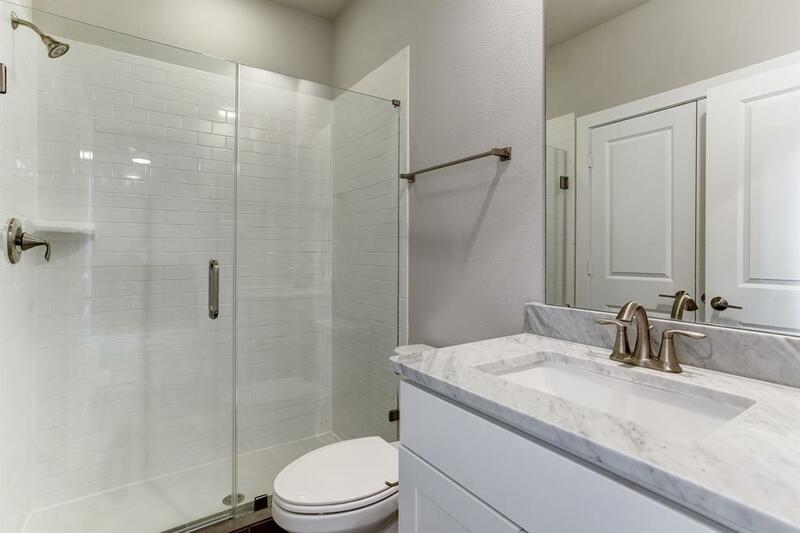 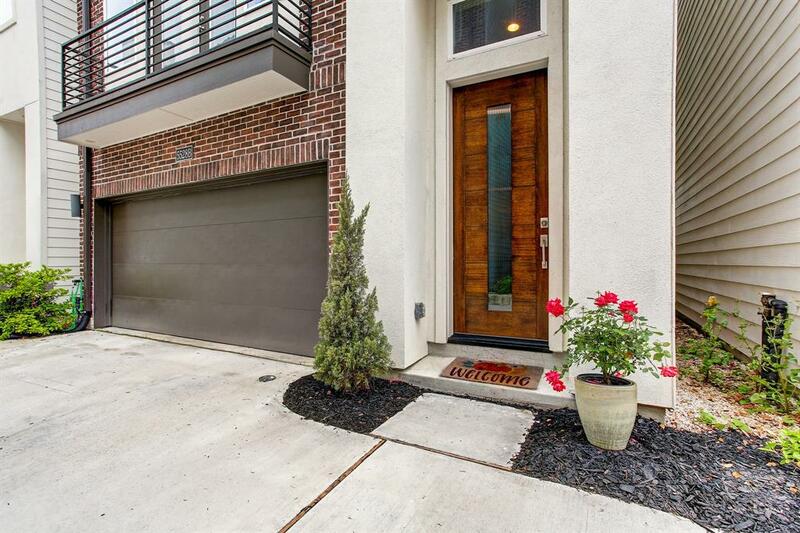 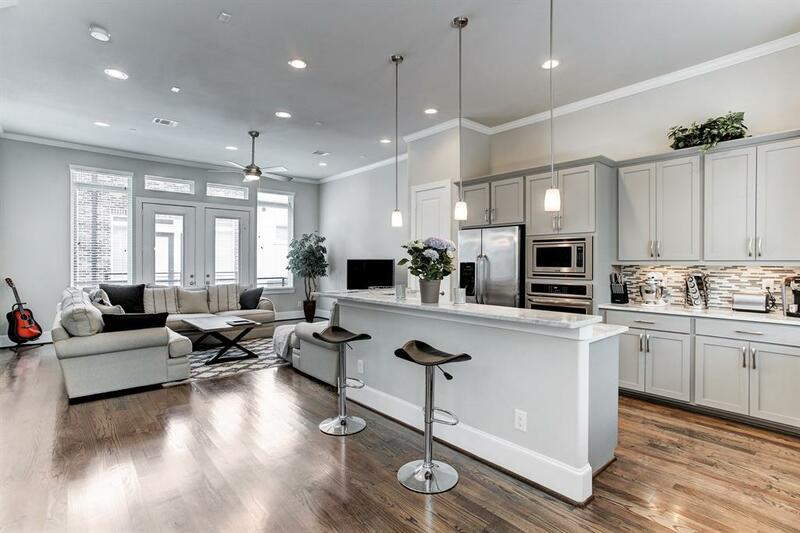 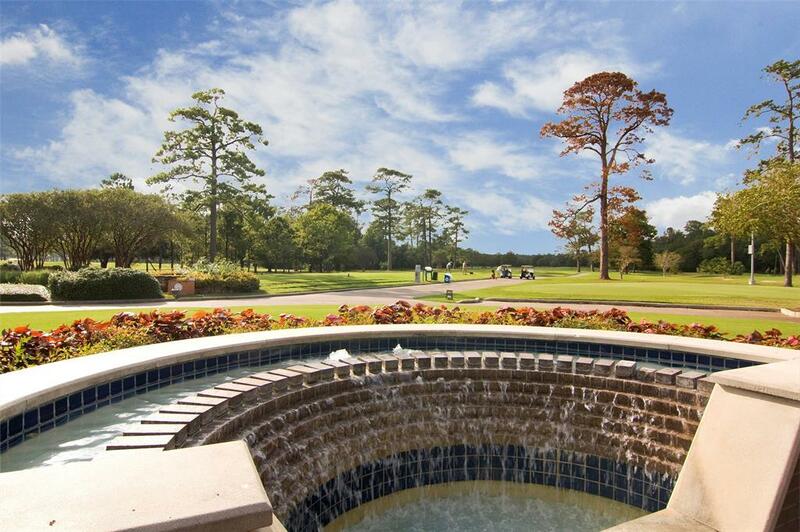 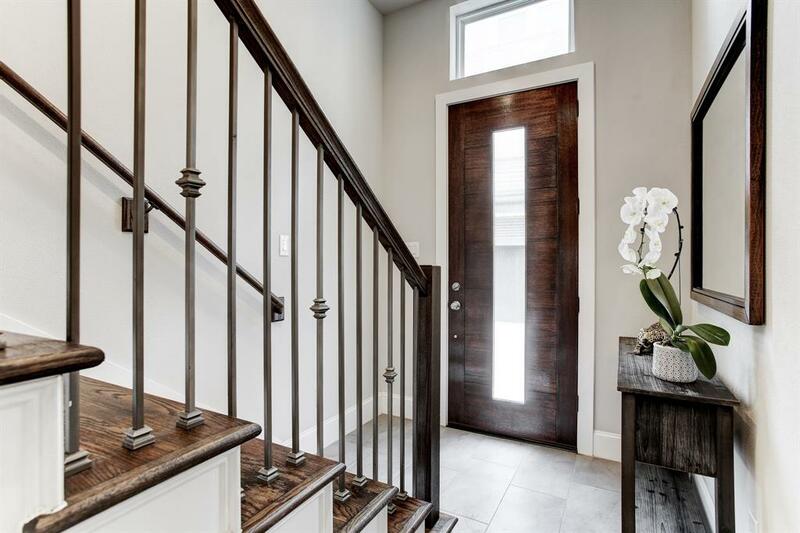 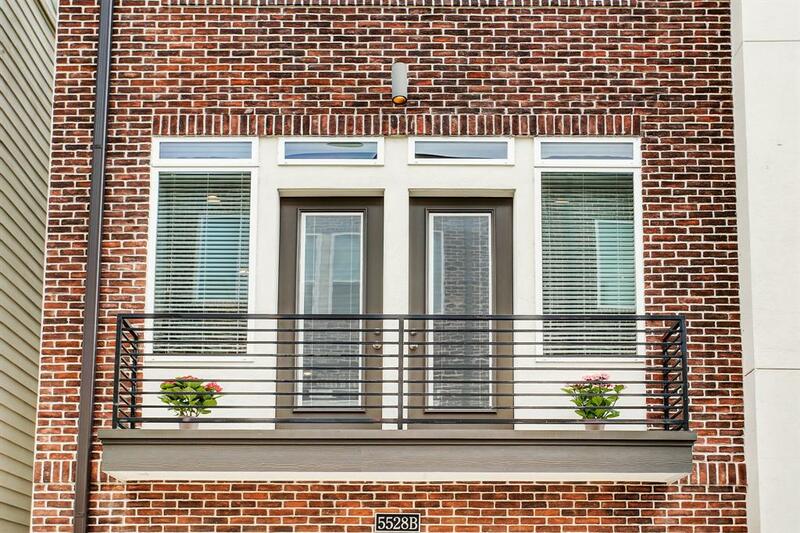 Recently built and pristine 3-story townhouse in a highly-desirable Gottage Grove. 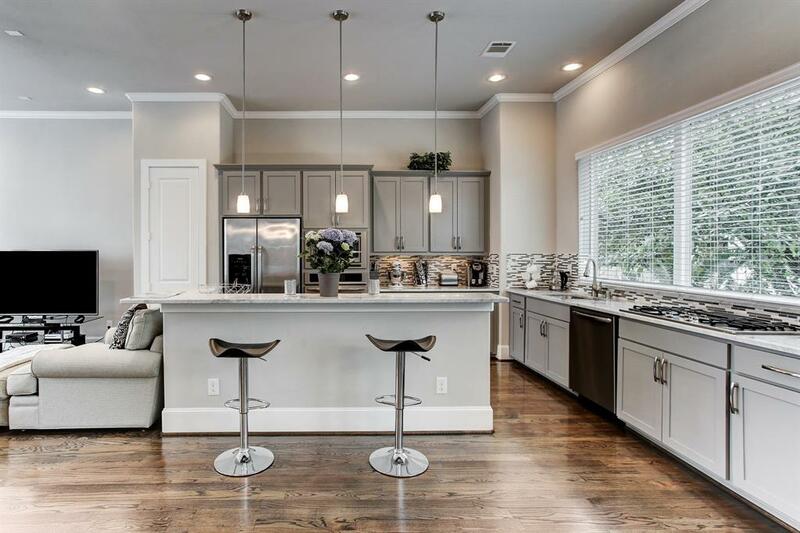 Island kitchen with marble countertops and custom cabinetry with living area on the 2nd floor. 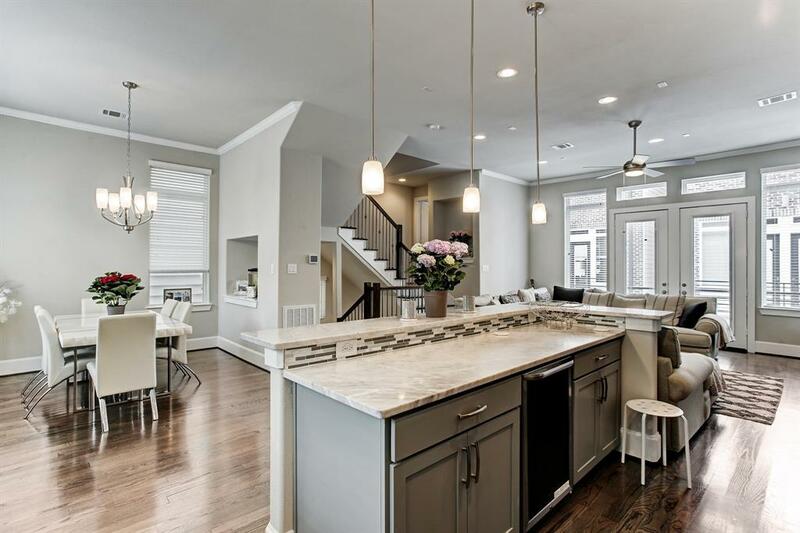 High ceilings amid a modern & elegant open layout. 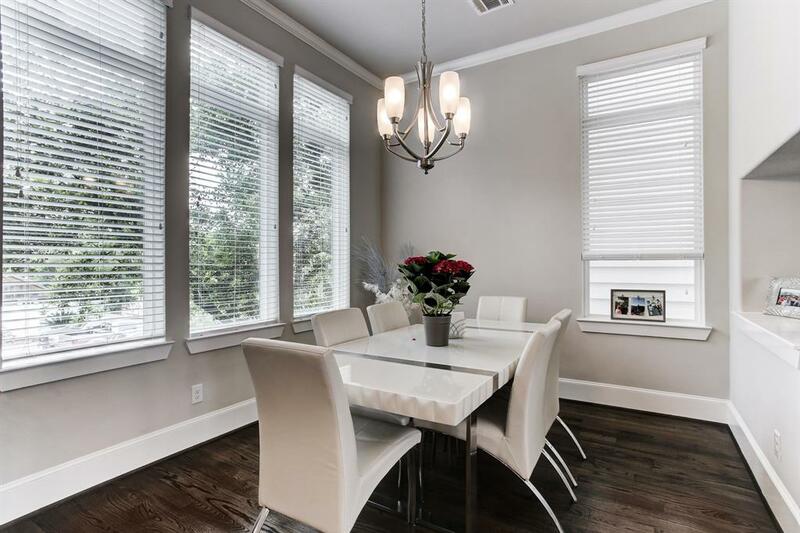 Gorgeous covered balcony off the 2nd floor living area where the dining area sits separately and has big windows and unobstracted view. 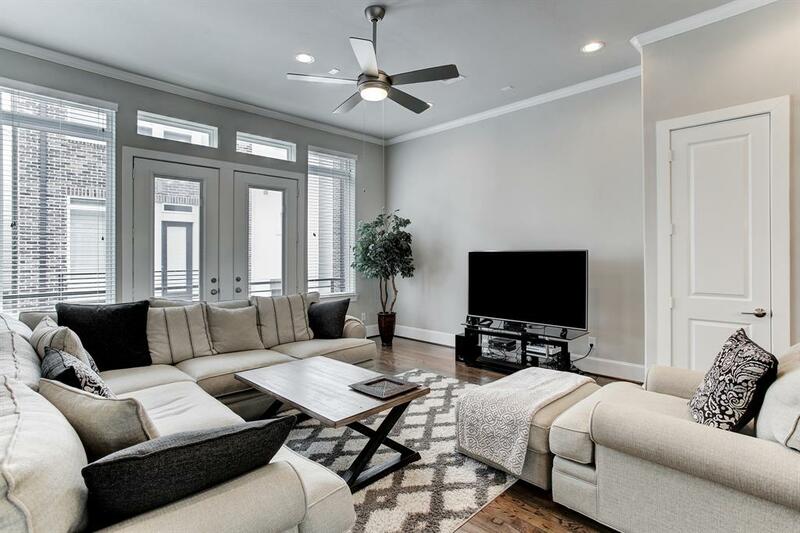 All together, it's a beautifully designed living space. 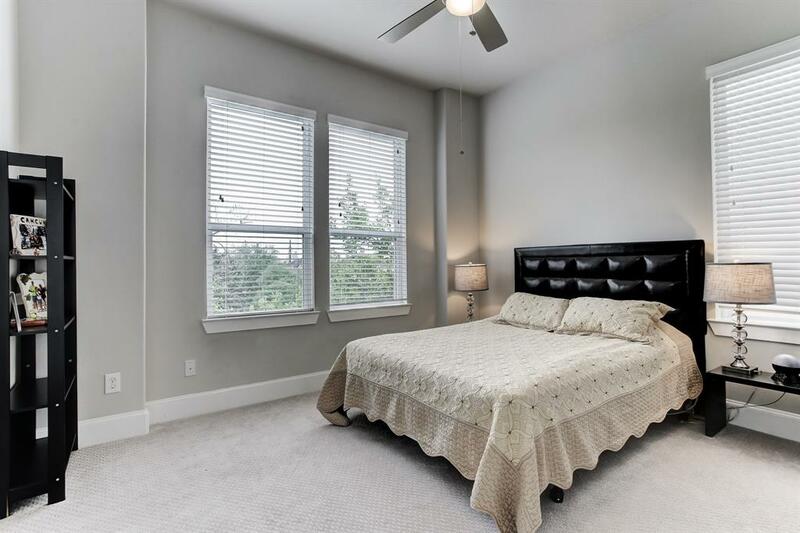 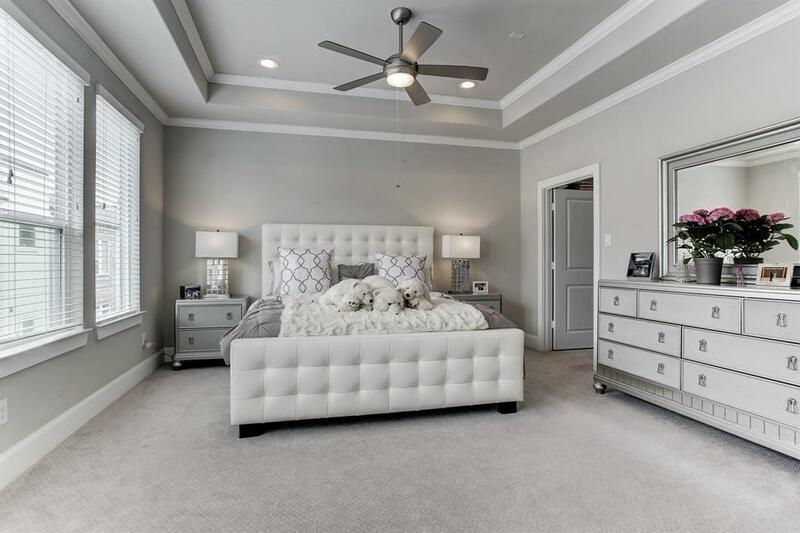 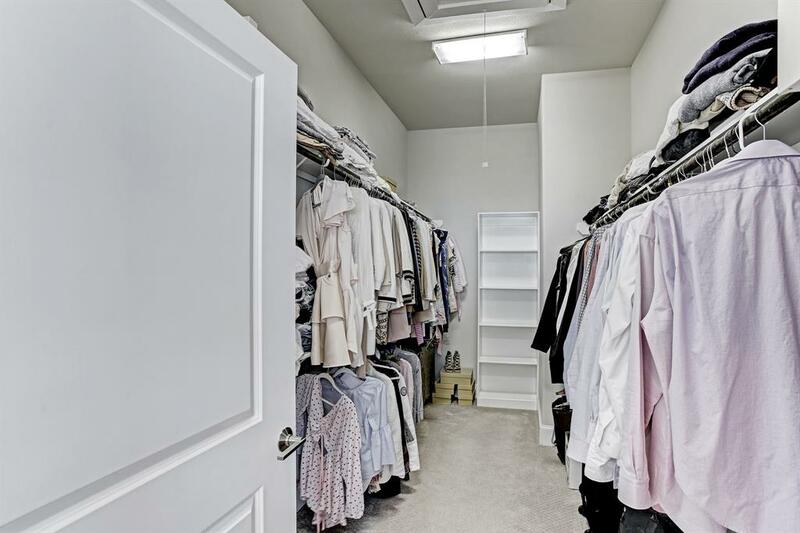 Upstairs finds a huge master bedroom with spacious closet that's full of light. 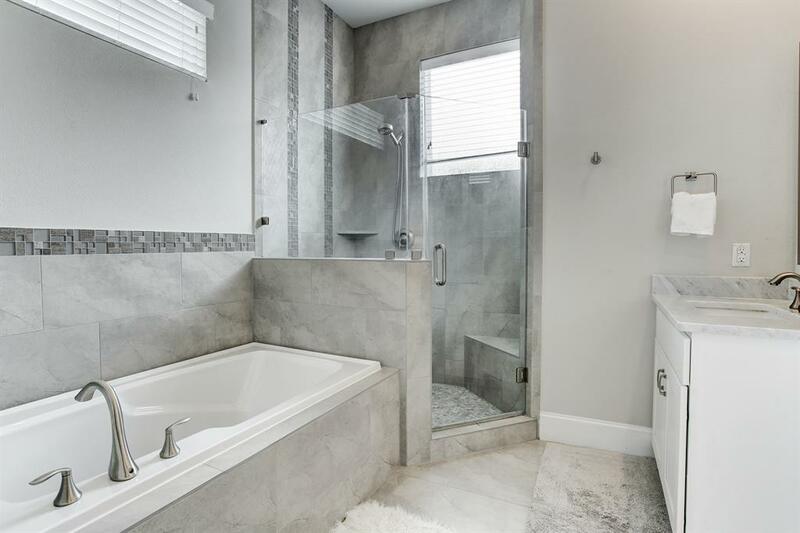 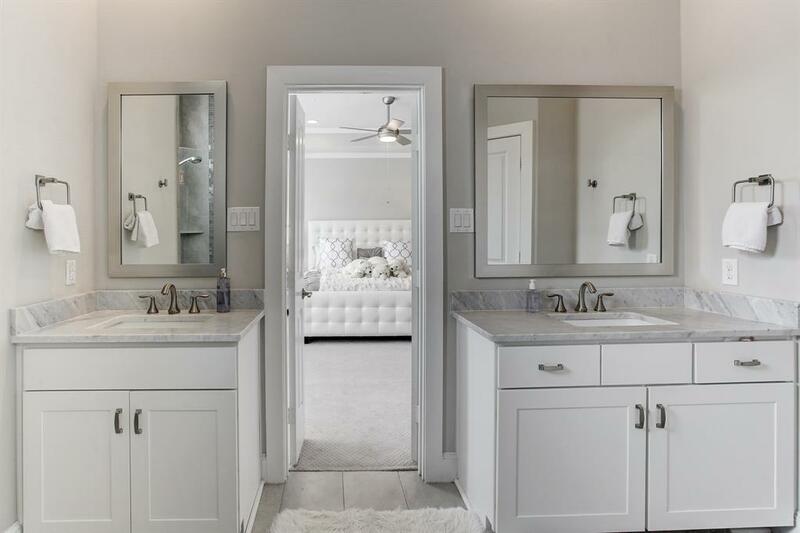 Beautiful master bathroom with sink for him and her. 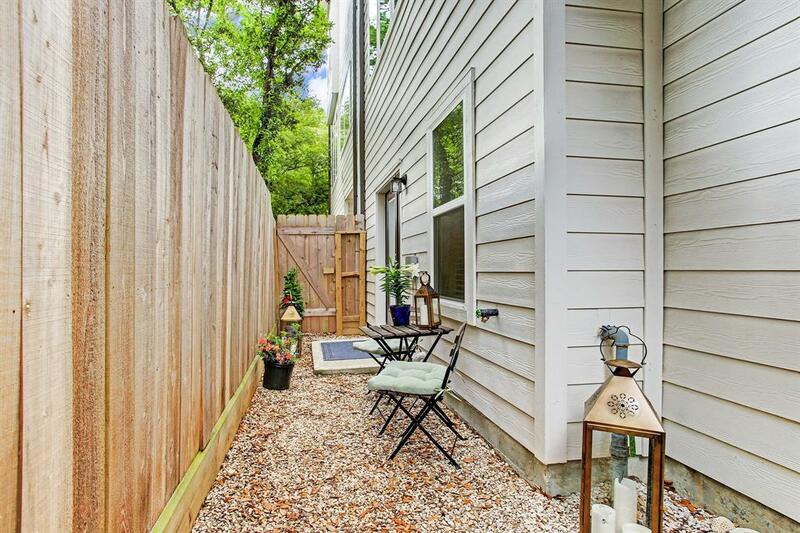 Spare bedroom on the 1st has access to the outdoor fenced patio. 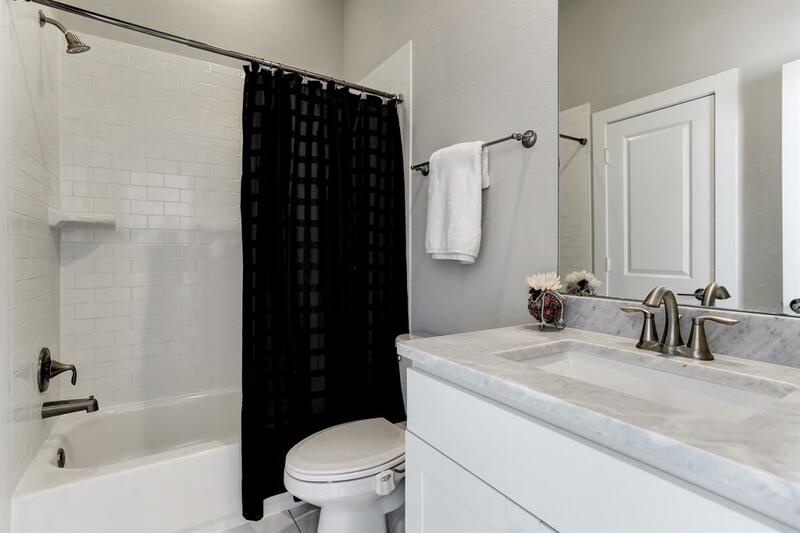 Home includes fine finishes with red-oak 3/4" hardwood floors, stainless steel appliances, granite counter tops and marble in the bathroom. 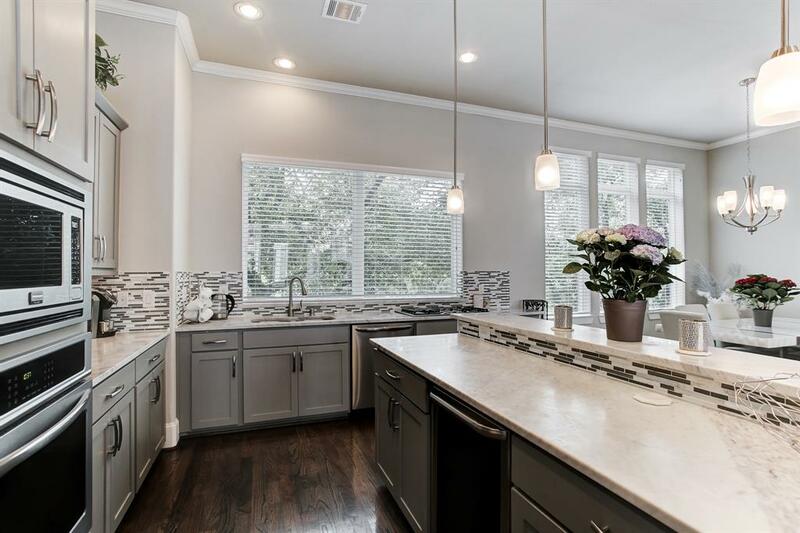 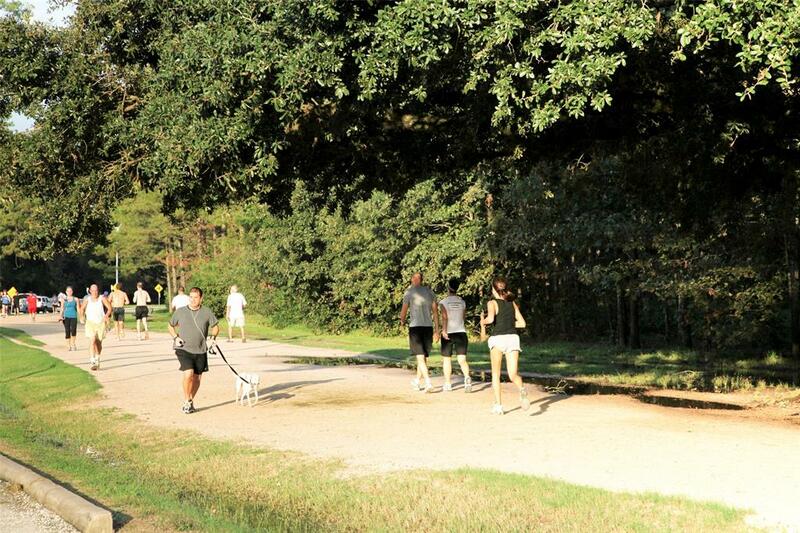 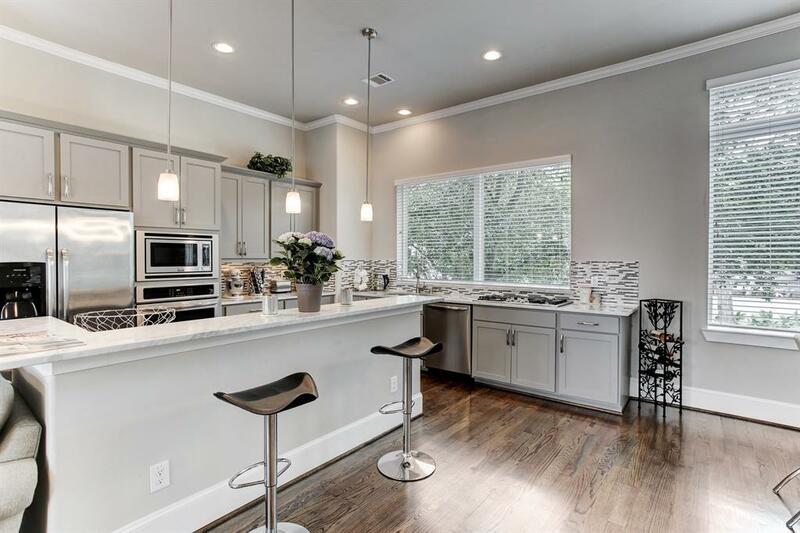 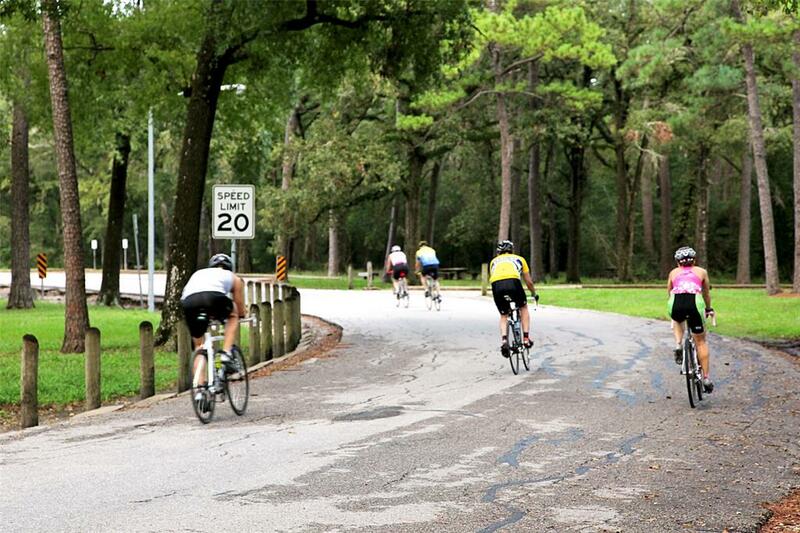 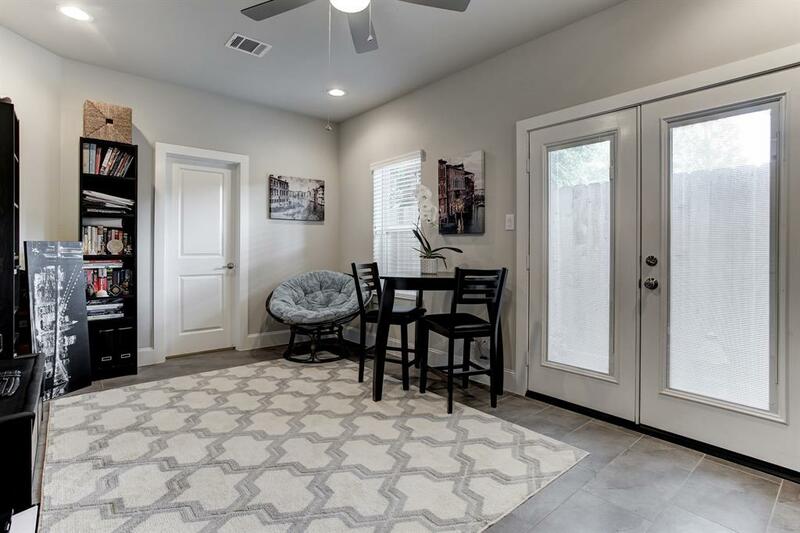 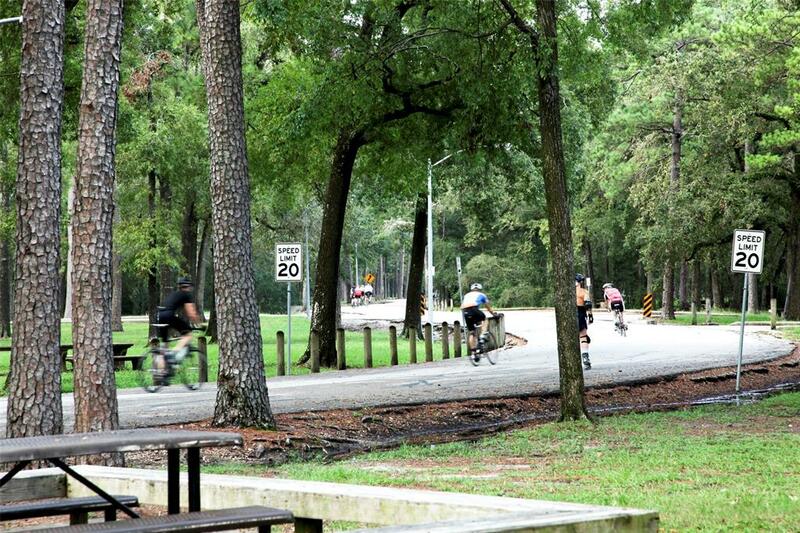 The property is next to Cottage Grove Park and close to Memorial Park, Heights Biking Trail, White Oak Biking Trail and all of the restaurants & attractions of the nearby Heights area.